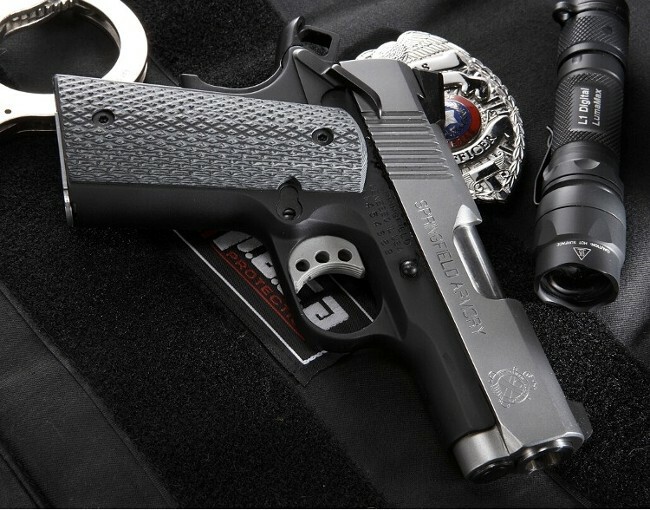 The MIL-TAC 1911 grips were designed to withstand the harsh environments encountered by our military and law enforcement units. 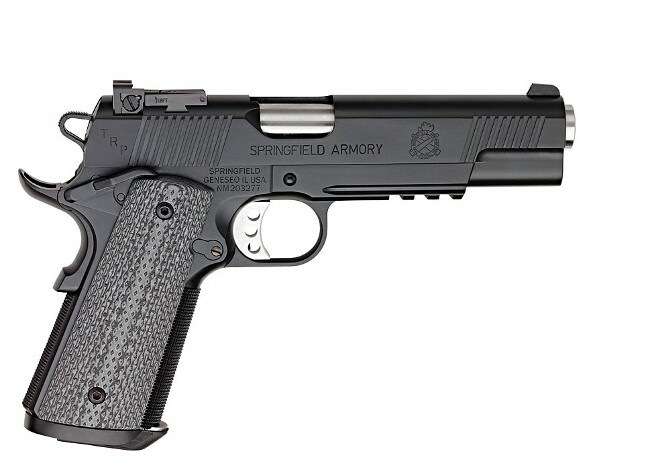 The 1911 pistol is a true classic and has withstood the test of time and is still one of the preferred handguns of choice for elite military and law enforcement units. However, wooden grips for the 1911 pistol are a major problem for harsh environments since they will crack, warp, and harbor moisture and therefore produce rust. This adds additional maintenance to the 1911 pistol. Working towards the goal of producing a maintenance free and virtually indestructible 1911 grip, we designed and CNC machined these grips from G10 laminate which is the best choice for rugged tactical pistols that require an extreme duty grip. Impervious to solvents, heat, sweat, salt water or moisture, these grips offer non-degrading dimensional stability under all conditions and will not crack or chip especially around the grip screw holes. The MIL-TAC 1911 grip has an aggressive checkering pattern which prevents slippage even under the most adverse conditions when the hands are wet or sweaty and the hand filling profile provides an almost vise like gripping surface. 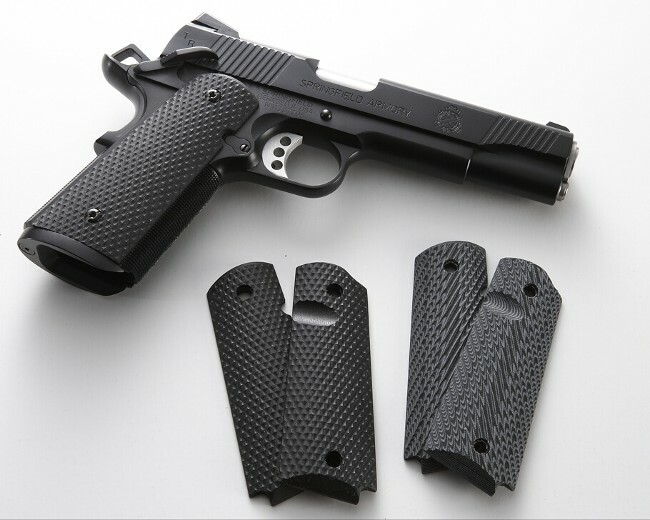 The MIL-TAC 1911 grips are extremely functional and great looking and repositions the shooter's right hand for improved finger positioning on the trigger. 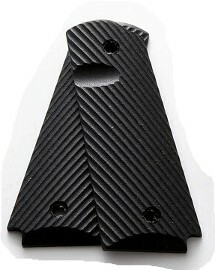 In addition, these grips feature a thumb ramp for the magazine release to allow you to quickly find the magazine release position in the dark or under adverse and stressful conditions. SPECS: G10 laminate Government grips are available in variety of colors and they blend well on a blued or black pistol as well as a stainless steel or two tone (blued and stainless steel) pistol. They fit all 1911 Government grip frames. 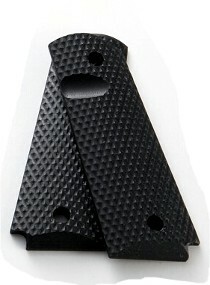 NOTE: All MIL-TAC 1911 grips now come with ambi-safety.